The pool at Te Huruhi Primary School has been closed all summer and the opening date remains uncertain. School board of trustees chairperson Kevin Glover says repairs that were meant to take place during the summer holidays have been delayed, due to poor weather slowing down the contractor’s work schedule. The pool was meant to be ready to use from 1 February when children returned to school, but could still be closed for several weeks. Although it’s “disappointing” that the pool is not currently available for the island’s children to learn to swim in, repairs on cracks in the bottom of the pool need to be carried out, says Mr Glover. “There were some pretty big cracks. We had them assessed and decided we needed to do some serious work on it, rather than just papering over the cracks. “We wanted to do the job properly,” he says. 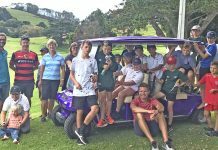 The school wants the pool to be opened as soon as possible, because it is usually used by its pupils and students from Waiheke Primary School for lessons in February. The pool closure has also been disappointing for Swimgym Waiheke, which usually offers public swimming lessons and training for competitive swimmers between November and April. More than 400 children aged from babies to teenagers take Swimgym classes on the island each year and Swimgym also runs lessons for the island’s primary school students. 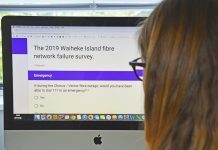 Plans to run free Whanau Nui water safety courses and boot camps have also had to be abandoned. 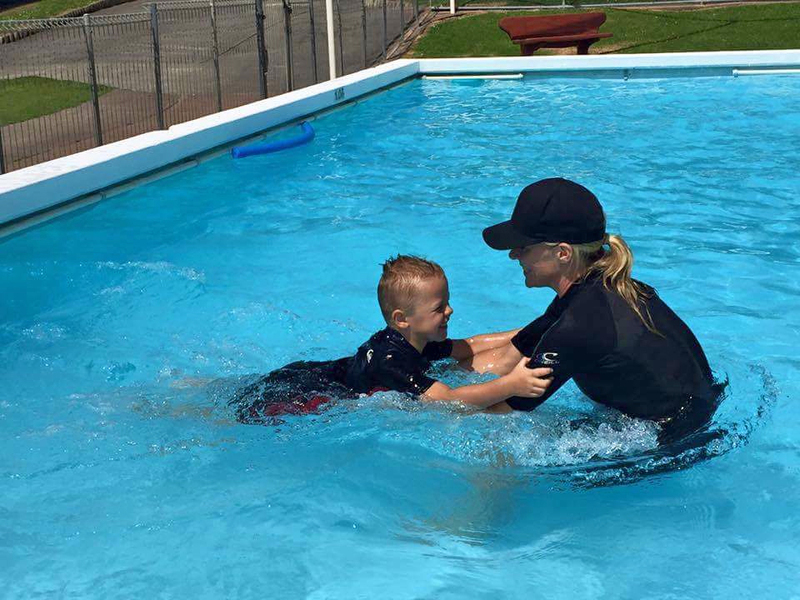 Swimgym Waiheke teacher Cara Tahapehi says the lack of a pool on the island so far this summer demonstrates the urgent need for a new community pool for the island. 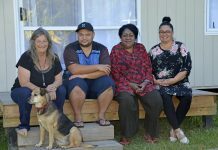 “There are going to be ongoing issues with Te Huruhi Primary’s pool, because it’s past its lifespan,” she says. Mrs Tahapehi would love to see a covered pool built on the island, so that swimmers could take lessons and train all year round, but says a less expensive pool that could be used from October to April would fill a serious need in the community. While swimming lessons are important to prevent drowning, they also improve children’s independence and self-confidence, and swimming can be important in older people’s rehabilitation, health and wellbeing, she says. About 25 competitive swimmers who usually train daily at the school pool have been waiting for it to open, but are now likely to start training at the Tepid Baths in Auckland city. “It’s expensive, so they can only go once a week. “They won’t be competing this year – it’s such a shame,” says Mrs Tahapehi.